On the show today is Reverend Chris Jorgensen with The Urban Abbey which is a faith based community housed in a coffee shop in Omaha’s Old Market. The Urban Abbey is a non profit dedicated to making a difference one cup of coffee at at time and they believe everyone should have a place at the table. There have been many changes over the years when it comes to churches and acceptance of the LGBTQIA+ Community. Right here in the midwest there was a group of churches who came together back in 2011 and issued The Heartland Proclamation which was a public apology to the LGBTQIA+ Community for the way the Christian Church has treated us in the past. And they made a promise going forward to being Open and Affirming just as The Urban Abbey believes. 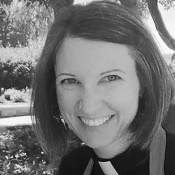 If you are looking for a faith community you may find one there but you may also listen to this interview and find a great deal of comfort in what Reverend Jorgensen shares about what The Urban Abbey is up to! 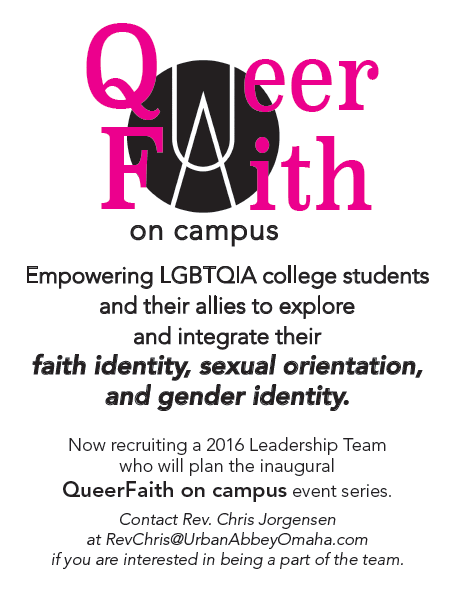 She shares more about The Queer Faith on Campus Initiative too! I hope you enjoy the conversation as much as I did! Thank you for tuning in to Speaking Of Happy! If you don’t see the player click here and listen to the episode on PodOMatic.